In this world where one cheats the Bank of Rs 9,000 Crores and Flees the country and the Country can’t do anything to arrest that single man and on the other hand farmer commit suicide for being unable to pay off the loans taken from the very same banks and in some cases private lenders. Yes i live in the same country India. 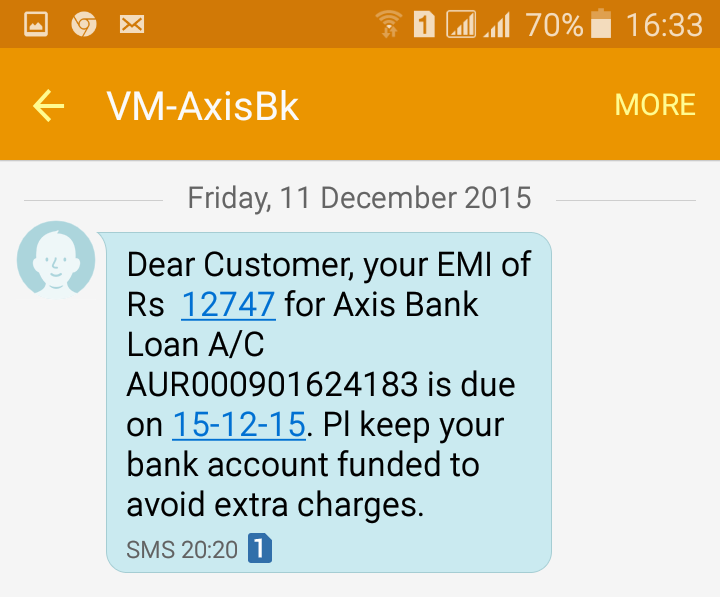 Recently from the month of December 2015 i started receiving SMS’s from Axis Bank stating that my car loan has been approved and monthly EMI of Rs 12,747 will be deducted from my account. 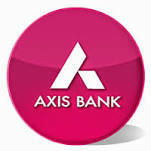 Worried i went to the home branch of Axis Bank in Mulund West Zaver Road where i have an account with Axis Bank. There i was informed that i need to go to the Loan Center in Thane, Hariniwas Circle as the branch cannot retrieve the details of the loan. So my next stop was the said Loan center in Thane. On enquiry i was casually told that there has been a mistake and the number will be updated and my number will be deleted. 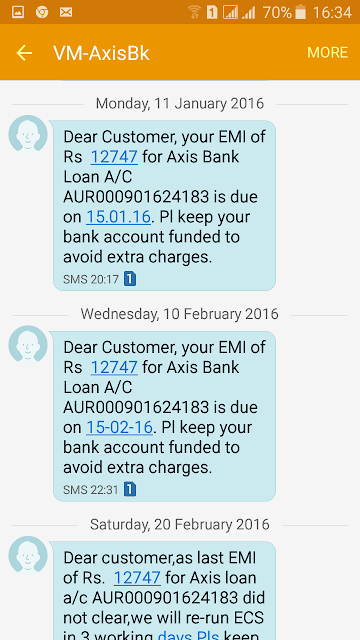 Soon after that i started receiving messages stating that Keep your account funded to avoid extra charges. Post this message on Dec 11th i Visited the Loan Center showing them the message again i was told that this will be taken care of and they provided me with no request number or acknowledgement of my complaint. 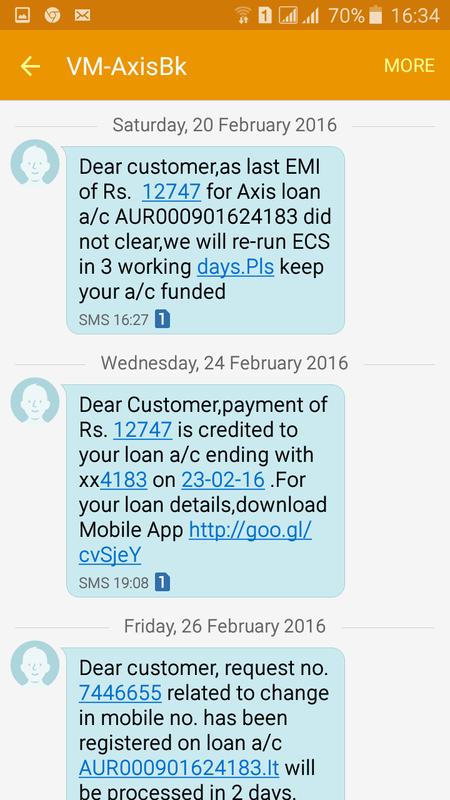 Then started the real trouble in January the message i deleted stating that the EMI has been bounced and ECS has not been cleared. 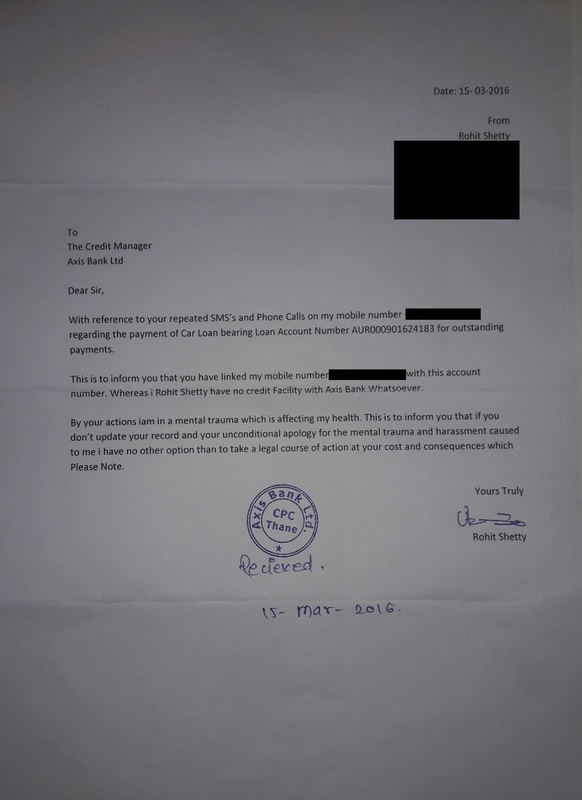 This followed with repeated request to pay the EMI of the Loan which i had not availed and unnecessary mental harassment began this was followed up with multiple phone calls from the customer care asking me to pay the loan’s EMI which was due and bounced. 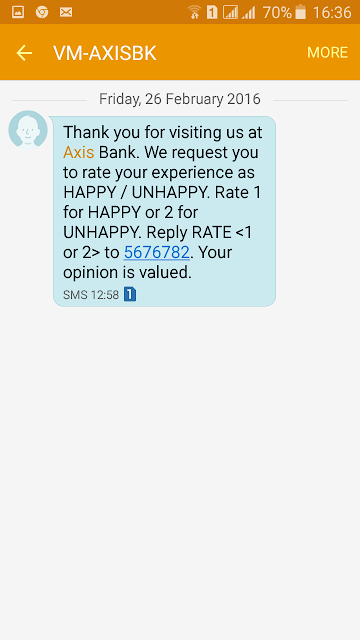 I then applied for a Car Loan Myself via a banking agent from Kotak Mahindra Bank i was told that i had already defaulted a Car Loan From Axis Bank so they cant offer me the said loan to which i argued that i had no loan facility from Axis Bank. Keeping this in mind and the damage already being done for which i was not even liable and responsible for i visited the Loan Center in Thane Again on 15th March and presented them in writing the following letter to which i obtained a No Loan Certificate from the Bank. 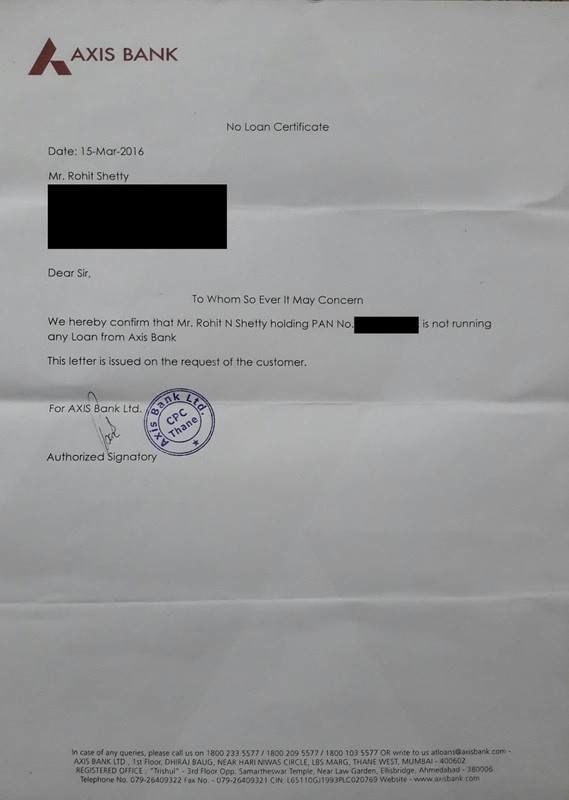 This is the copy of the No Loan Certificate that i was given by Axis Bank at Thane Loan Center after constant perusal and a wait of more than 2 hours. 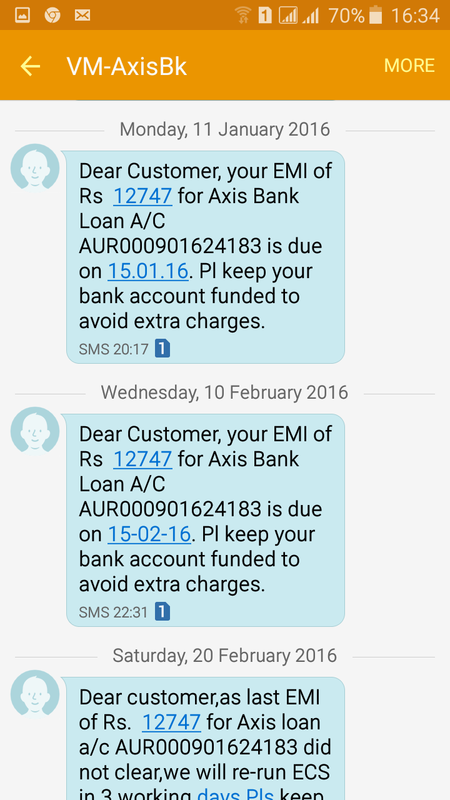 Despite the letter being issued on 15th March i yet Receive Another Message on My mobile on 21st March asking me to pay the Interest Overdue to the bank. In such a case i have no option now to go on a social media platform despite my numerous futile attempts. I on purpose have not hidden the Loan Account Number its AUR000901624183. 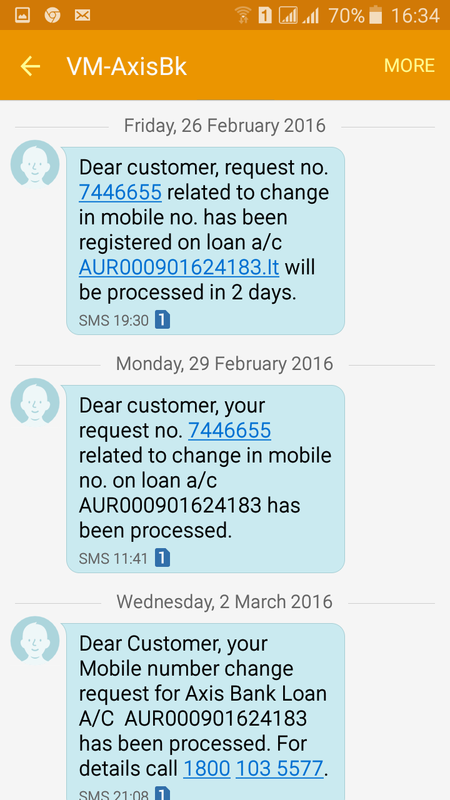 Also while complinig to the Customer Care on 1800 103 5577 the name of the person who has availed the loan was reveled to me it was some Mr Girish from Bangalore. 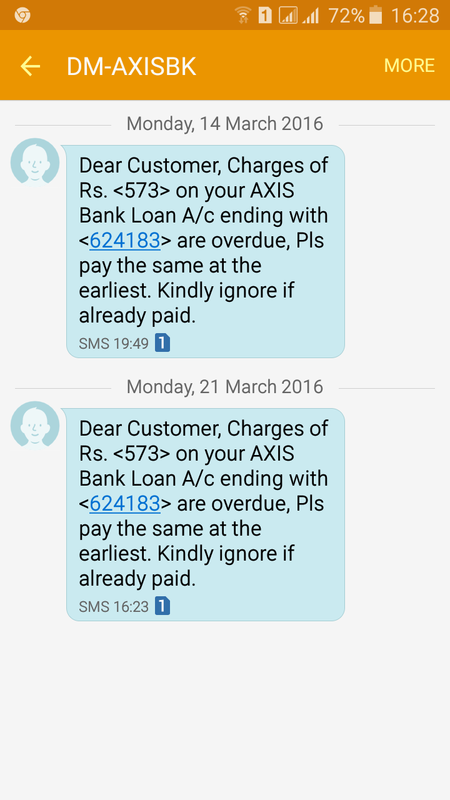 One more loophole in Axis Banks Banking norms as details of the customers must not be divulged to any other person yet i am aware of the name of the person and from where the loan has been taken. I would like to appeal the Press to intervene in this matter and free me from the constant mental harassment which Axis bank is causing to me on purpose. If a single message is received now from Axis Bank pertaining to this loan Account number as shared i will be taking appropriate legal action against the bank though having zero faith in Indian Judiciary System as God Only knows how many years will it take.